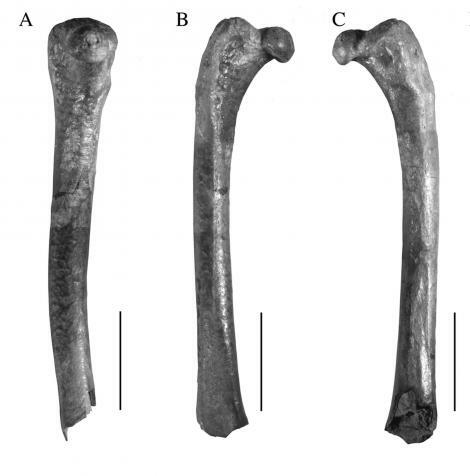 The St Bathans kiwi was described from two fossil bones recovered from 19-16 million-year-old (Early Miocene) lake-bed deposits along the true left bank of the Manuherikia River, St Bathans, central Otago. The partial bones recovered were an incomplete right femur, and a damaged left quadrate (jawbone). The St Bathans kiwi was smaller than any living species of kiwi, with a femur that was shorter and about half the diameter than that of a little spotted kiwi (the smallest modern kiwi). The genus name Proapteryx means ‘before kiwi’ (Apteryx), denoting that this species precedes modern kiwi in the geological record. The species name micromeros refers to the small thigh (meros). The presence of a small, slender-legged kiwi in New Zealand 19-16 million years ago was interpreted as indicating that kiwi and their nearest relatives (emu and cassowaries) evolved from a small-bodied flying ancestor. If the bird had similar proportions to a living kiwi, it is estimated to have weighed about 280 g. If it was capable of flight (and of similar proportions to a tinamous, Family Tinamidae), it may have weighed about 380 g, or a third the mass of a little spotted kiwi. Both estimates indicate a bird about the size of a banded rail. 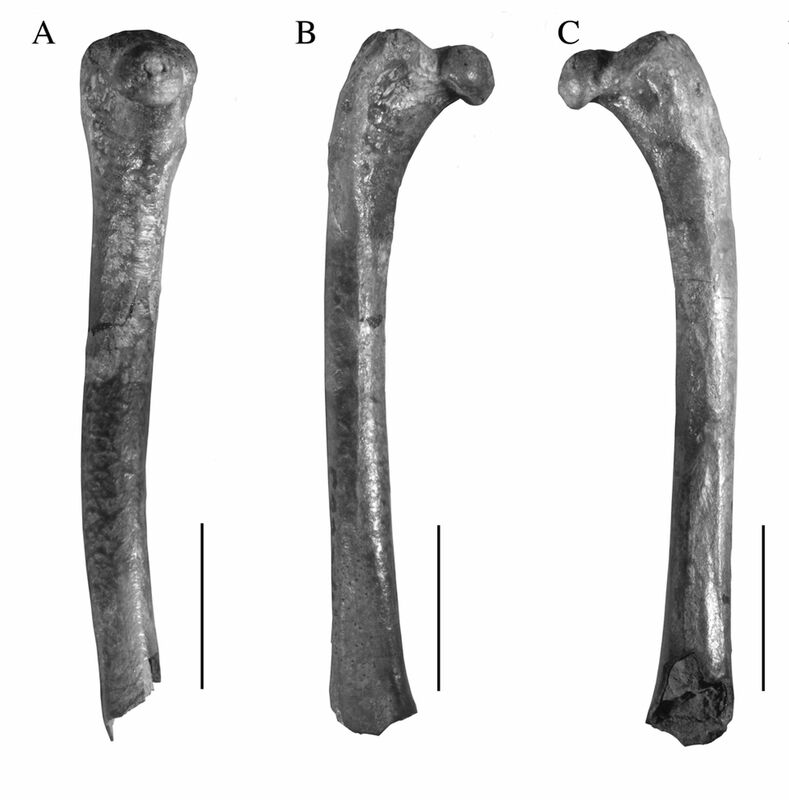 The holotype (NMNZ S.53324) is an incomplete (proximal) right femur. Both the bones referred to the species are held at the Museum of New Zealand Te Papa Tongarewa. Worthy, T.H. ; Worthy, J.P.; Tennyson, A.J.D. ; Salisbury, S.W. ; Hand, S.J. ; Scofield, R.P. 2013. 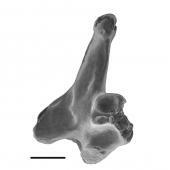 Miocene fossils show that kiwi (Apteryx, Apterygidae) are probably not phyletic dwarves. Pp 63-80 in Göhlich, U.B. & Kroh, A. (eds) Paleornithological Research 2013 (Proceedings of the 8th International Meeting of the Society of Avian Palaeontology and Evolution). Vienna, Verlag Naturhistorisches Museum.